Before I explain where I am let me mention where I came from. I was always an outsider to sports. I had the determination and heart but I never had the raw skill. In golf they use the term L.O.F.T. Google it . Baseball, football, soccer, whatever, I was not really very good. I came into cycling after an injury. It was meant to be rehab for my back. That lead to the idea of commuting. Well, what it would lead to was an obsession. At my lowest point I was fighting multiple addictions and cycling was what kept me going the streight path. I began racing and riding daily. I would race for a few years for a few teams and even for myself (unattached) when I lacked the fitness to race for a team . Fast forward 10 years, I’m now married, a father of 3, and I have a dog to boot. In many ways I have what I want. I still have the drive to go out and test myself when I’m riding but there are many weeks that I just can’t ride, some weeks I’m just too tired, and yet others I’m not willing to make the sacrifice to get a ride in. The fire is still there but the time/motivation/will is at times lacking. I set goals but get confronted with realities. Sure I could ride Saturday but one son has practice and the other has a soccer game. Did I mention my two-year old? So my choices are 4am ride or no ride. I made my choice before I typed it. I don’t think I’m alone in my position nor do I think I need a small violin playing “sad romance”. What I need is a spark, something to convince myself to ride when it’s difficult to get going . As it turned out that spark that made me want to ride was a ride. That and something I heard on a podcast, something about second degree fun. It’s fun, just not from the idea or start. Like a climb, not really fun as a idea but as you get to the top, you can look back at the climb as a good time. Albeit a miserable, painful, good time . So what keeps you going? Do you ever need a break or time to miss riding? Are you the type of rider who just wishes they had more time to ride? Let me know as that’s one of my motivations (I love hearing about others passion to ride). After using it for a couple of weeks, I’ve found the bag to be quite useful. Regarding it’s look, it’s stylish–the main zipper streamlines a clean-looking design. The Kona logo is visible along with the 2 buckle-harnesses that keep the contents of the bag secure. Upon opening, three separate compartments are visible. One being a “divider” where it has a velcro flap to secure the contents from the rest of the bag. The inside of the first compartment has more pockets and zippers similar to an inside of a backpack to put in smaller items. When closing, one can see that there are magnetic flaps that secure to make sure that the sides stay closed. 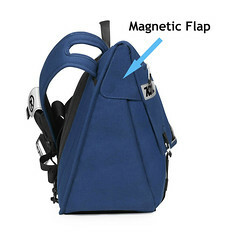 The adjustable strap has a cell phone holder, and an accompanying buckle that couples with another strap to make sure the bag secures to the wearer. Cell phone holder, adjustable strap and additional strap for stability. Here are the specs from the manufacturer. It should be noted that Kona tapped the talents of Brenthaven in order to create this bag. I’ll upload some photos of me actually using it when the review is done! Please click here to read our review disclaimer as required by the Federal Trade Commission. Not the best example but you get the idea. I recently saw an article discussing bicycle safety and the need for, wait for it…. bicycling licenses. I know, I know, such an idea is outrageous but it isn’t to me when I see people riding recklessly either because they’re clueless or they arrogantly believe the road is theirs. That said, as much as I want cyclists to be proficient (so those that are reckless don’t give me a bad name) I’m not sure where to take a stand here since there are glaring questions that would need to be addressed before any legislation is written. 1. Would you need a license even if you ride only a handful of times a year? 2. What kind of test (written and behind the handlebar, haha) would you be running to determine proficiency? 3. Who would run the tests? The DMV? A local bike shop certified in testing? These are some concerns I have. Personally, I lean towards having no license since laying down infrastructure for it seems impossible. On the other hand, I also think a lot of people need help with bicycling naivete! What about you guys? What do you think? For all you Kickback and IGH…here’s some goodness from the folks of Sturmey Archer. After reviewing the video…I just realized I didn’t edit the middle portion, so forgive me as it gets shakey as I direct the nice gentleman on which parts we’re going to film.